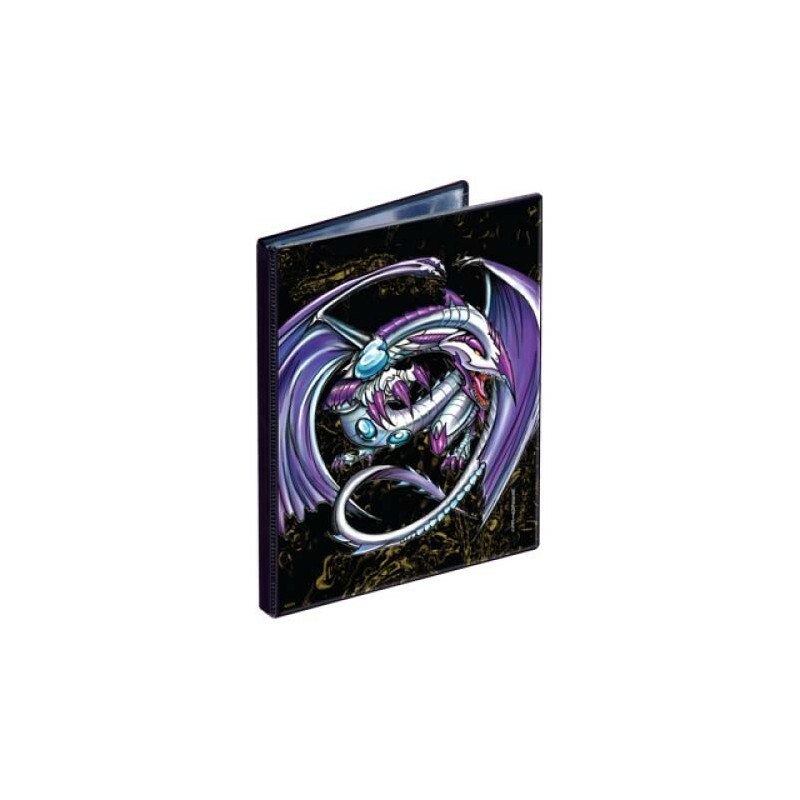 4-pocket portfolios with color printed embedment showing off the Exalted Dragon artwork with special metallic foil treatment by Monte Moore. Holds 40 small sized collectible cards single-loaded or 80 double-loaded. Each portfolio contains 10 high clarity, archival-grade and acid-free pages. 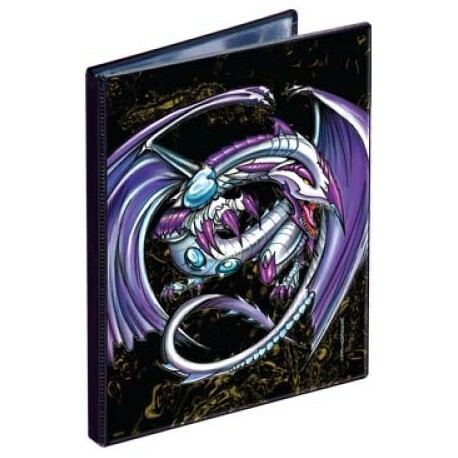 Warning: The pockets of this portfolio are Small sized, they fit only Yu-Gi-Oh or Vanguard!